Interested in a career as a medical scientist? With CSU's Bachelor of Medical Science (with specialisations) you could be conducting medical research or working in the fields of pathology, biotechnology and clinical physiology, developing cures for diseases or improving quality of life through science. CSU's medical science course gives you the foundations you need to launch your career as a medical scientist. Choose from the generalist course or one of three specialisations based on your interests and career aspirations. All students complete a common first-year program, which includes units in chemistry, anatomy and physiology, statistics and microbiology. From there, you can choose to stay in the general stream to gain a broad understanding of medical science or you can specialise in one of three areas that interest you the most. There is also the potential for movement between specialisations within the course. Choose between full-time, part-time, on-campus and online study options to match your work and lifestyle commitments. There is also the potential for transfer from the Bachelor of Medical Science into other courses, such as the Bachelor of Pharmacy, during the course (based on grade point average (GPA)). Although no official approved articulation agreements exist, there are credit packages available to recognise students' prior learning. Gain a broad foundation in medical science as preparation for entry into postgraduate study, research programs, or transfer into another university degree, subject to eligibility requirements. If you are studying on campus, you may be eligible to apply for a Science Scholarship, valued at $4000 per year. This broad-based course offers you diverse career options in the healthcare industry and gives you the flexibility to choose an area of specialisation. Use your knowledge of medical science to enter a rewarding career in public health or health administration in the public or private sector. This specialisation will qualify you for accreditation as a medical scientist with the Australian Institute of Medical Scientists. Work in private and public sector hospitals and health laboratories, where you will be responsible for performing a range of medical laboratory tests to help clinicians in the prevention, diagnosis and treatment of a range of diseases. Graduate with a range of skills and knowledge in biotechnology and its uses in agriculture, food production, bioinformatics, genetic engineering and medicine. Take up a career in clinical management where you will perform physiological tests to diagnose and fine-tune the therapeutic management of already established disease and assess the physiological functioning of the nervous, cardiovascular and respiratory systems. Careers in clinical research are also available in hospital and university research teams. These often focus on the development of new measurement techniques and a better understanding of the processes of specific diseases. "Practical placement was really useful to see what a career in the pathology industry is like in a way that theory lecturers can't show. 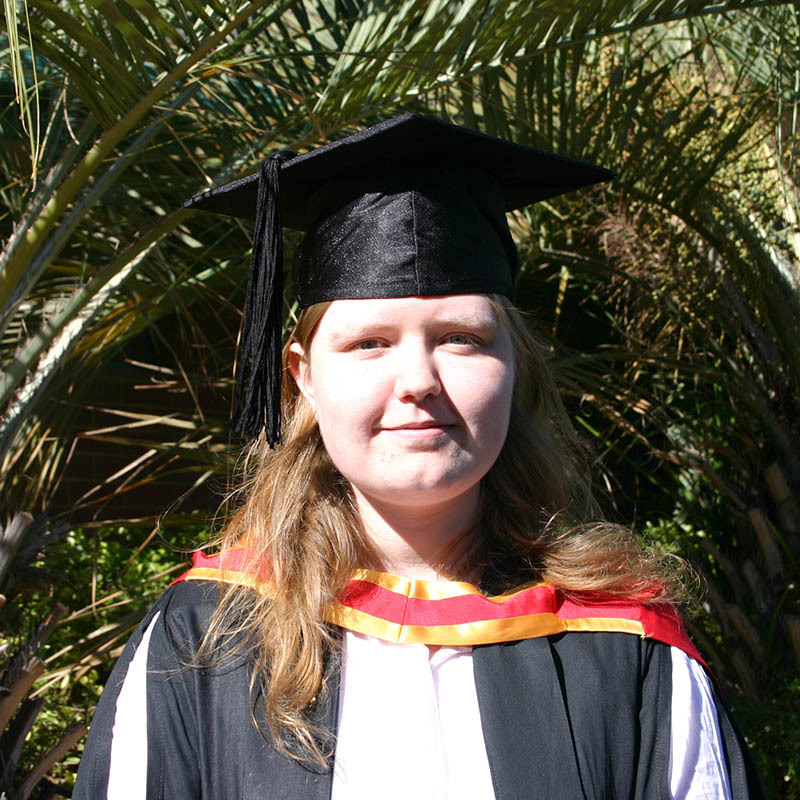 With this degree, I'll be able to work in pathology labs."